______copy(s) of the GUIDE BOOK at $25; $5 shipping; $1.75 tax = total of $31.75 per book. ______copy(s) of the DELCO-REMY BOOK at $45; $10 shipping; $3.15 tax = total $58.15 per book. ______copy(s) of the A TASTE OF TRADITION COOKBOOK at $10; $2 shipping; $0.70 tax = $12.70 for each book. Special: Buy 1 book and get the second at half price($6.35). 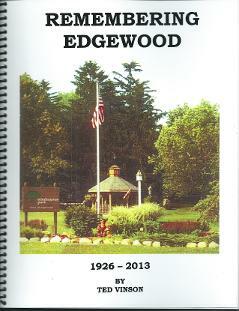 ______ copy(s) of the Remembering Edgewood at $40; $10 shipping; $2.80 tax = $52.80 for each book. This is a "NEW" book offered by MCHS and written by member, Ted Vinson. Order yours today! _____copy(s) of the 1901 MADISON COUNTY LAND OWNERS MAP at $25; $10 shipping; $1.75 = $36.75 per map. (The map is 32 inches wide and 65 inches long.) For all you map lovers, this is the one to purchase! Order today! 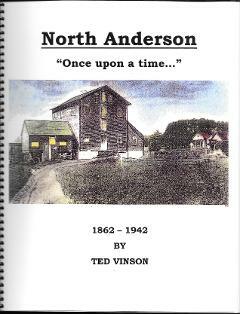 _____ copy(s) of North Anderson, Once Upon a Time... at $35; $10 shipping; $2.45 tax = $47.45 for each book. This recent book is offered by MCHS and written by member, Ted Vinson. Order this one today!